Citgo, the last gem of Venezuela's collapsed oil sector - SABC News - Breaking news, special reports, world, business, sport coverage of all South African current events. Africa's news leader. US Treasury Secretary Steven Mnuchin said Citgo can continue to operate - but its earnings must be deposited into a blocked account in the United States. US sanctions imposed against Venezuela this week have cut off the final “gemstone” of the country’s collapsed oil sector. Citgo, the US-based subsidiary of the Venezuelan state oil company PDVSA, was key to President Nicolas Maduro’s fight to stay in power. But Washington’s financial pressures applied on Monday against PDVSA will freeze $7 billion in US-based assets and block more than $11 billion in export proceeds. 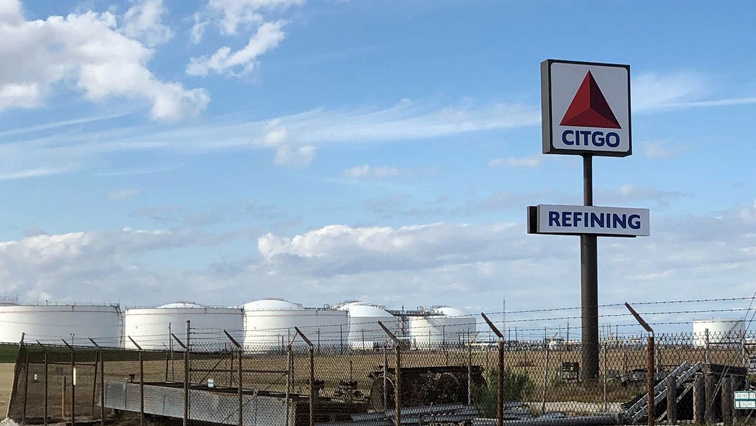 With PDVSA in default on debt payments, the US-based refiner and retailer Citgo was a financial intermediary returning revenue to the regime. Venezuela got 96% of its hard currency revenues from oil exports, and the US was the biggest cash customer, buying half a million barrels per day. In contrast, about a third of production goes to China and Russia but is used to pay off debts. US Treasury Secretary Steven Mnuchin said Citgo can continue to operate, but its earnings must be deposited into a blocked account in the United States. The sanctions aim to cripple Maduro after the US and other countries recognized Juan Guaido, the head of the National Assembly legislature who has declared himself Venezuela’s acting president. “It will crush the Venezuelan economy. It’s going to have a dramatic effect,” Christopher Sabatini, adjunct professor of International and Public Affairs at Columbia University, said of the sanctions. In response, Maduro told PDVSA to take action in US and international courts to defend Citgo, his last big overseas asset, which allowed the country to sell its heavy crude into the US market. Citgo is based in Houston and has three refineries that specialize in heavy crude and have a total capacity of 750 000 barrels a day, according to the company website. Founded as Cities Service Company by oilman Henry Doherty in 1910, it became wholly-owned by PDVSA in 1990. Citgo now employs 3 500 people, operates 48 petroleum product terminals, and has pipelines and a network of more than 5 000 service stations associated with the brand across the US. Venezuela is a member of the Organization of the Petroleum Exporting Countries (OPEC) and sits on the world’s largest petroleum reserves, most of it heavy crude that is costly to produce. But the country’s economy has been shrinking since 2014, the year global oil prices collapsed. Worsening conditions have forced more than two million people to flee the country, where food and medicine are scarce and the International Monetary Fund forecasts that inflation this year will reach 10 million percent. Venezuelan oil output has fallen from more than three million barrels per day in the 1990s to 1.339 mbd last year, according to OPEC data. Production has been hampered by chronic under-investment by PDVSA. Sabatini described Citgo as “the last remaining gemstone of the Venezuelan oil empire,” a company which was “the anchor to the US market.” Since 2017, Washington had already forbidden US citizens and companies from trading debt issued by Venezuela or PDVSA. “When PVDVSA began to have default and sanctions, nobody wanted to give credit to PDVSA,” said Francisco Monaldi, a fellow in Latin American energy policy at Rice University in Houston. But Citgo has “a good cash flow” in the United States, which enabled the state oil firm to make purchases without having to pay up-front. The US company, for example, could buy products such as the diluent required to process heavy oil and send them back to Venezuela. “It is a strategic resource in that sense,” Monaldi said, adding that the company also allowed Venezuela to have a lobbying voice in the US oil industry. It is not simply a matter of re-routing a pipeline to a different market. Rather, he said, it takes time for countries to adjust to the different product. “There will be lag time,” said Sabatini. As for the effect on oil prices in the US, one of the main reasons Washington until now did not want to impose sanctions on Venezuela,Sabatini said this is harder to predict. “Right now, the US is producing enough and the markets are sufficiently flushed that it may not disrupt” the oil market, he said. Rising US oil production late last year left the country a net exporter of crude and petroleum products for the first time in decades. This entry was posted on 30 Jan 2019,08:19AM at 8:19 AM and is filed under World, Homepage Featured Story Slider. You can follow any responses to this entry through the RSS 2.0 feed. Both comments and pings are currently closed.